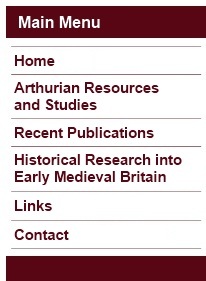 Arthuriana - Subscribe to the journal of the International Arthurian Society, Arthuriana, and join the society's discussion list, Arthurnet. The Camelot Project at the University of Rochester - Online Arthurian texts and images. 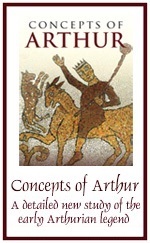 Arthuriana / Camelot Project Bibliographies - Detailed bibliographies of various Arthurian topics, including a very good section on Gaelic Arthurian literature. King Arthur in Medieval Sources: a Partial Bibliography - A guide to the various translations of medieval Arthurian texts that are available, compiled by Judy Shoaf. Black Book of Carmarthen - A digitized version of the manuscript. Book of Taliesin - A digitized version of the manuscript. Book of Aneirin - A digitized version of the manuscript [currently offline]. White Book of Rhydderch - A digitized version of the manuscript. Red Book of Hergest - A digitized version of the manuscript. Historia Brittonum - Stevenson's edition of the Historia Brittonum, which may be read online or downloaded in full. An old but complete translation of the Historia is also available online, as is Mommsen's Latin text , a nineteenth-century translation of the Vatican Recension , and Todd's edition of the Irish version of the Historia Brittonum. Annales Cambriae - The Latin text of the earliest version of the Annales. An old translation of the Annales is also available online. Culhwch ac Olwen - The 'White Book' text of Culhwch. The 'Red Book' text is also available online, as is Guest's translation of the tale. Breuddwyd Rhonabwy - The text of this tale from the 'Red Book'. Guest's translation is also available online. Preiddeu Annwn - An online edition and translation of this Arthurian poem from the 'Book of Taliesin'. Historia Regum Britanniae - A nineteenth-century translation of the Arthurian portions of Geoffrey's Historia Regum Britanniae. 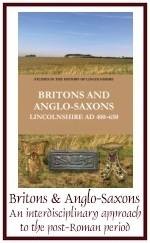 Vita Merlini - Latin text and translation of the Arthurian section of Geoffrey's Vita Merlini; the text of those lines relating to Avalon and Arthur's arrival there is also available online. Copyright © 1998, 2014 Caitlin R. Green. All Rights Reserved. To cite articles or pages from this website, use a service such as WebCite or alternatively see one of the following style citation guides. Comments and queries via email to Caitlin R. Green.